For some reason my formatting today is SO off! 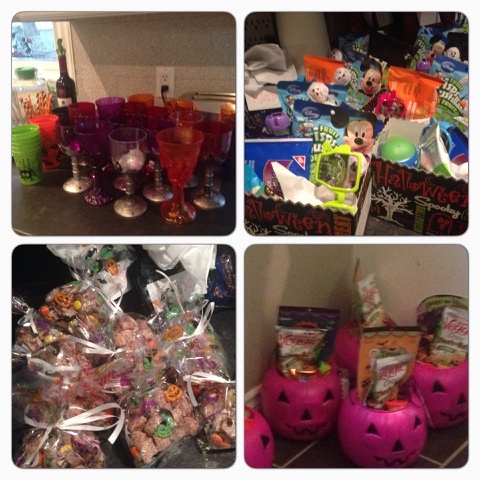 Halloween 2015 was for sure a busy one!! First off the costumes!! 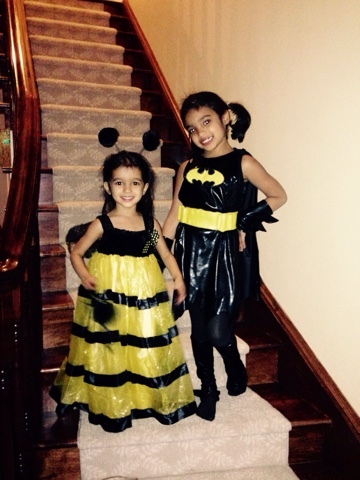 Here's bat girl and queen bee. 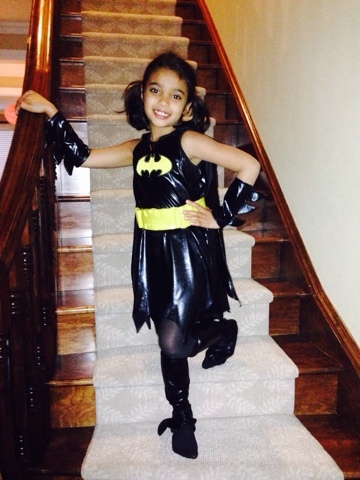 Bat girl wanted to be bat girl since September and stuck to it! That's huge for a six year old. She got good use out of it too wearing it about 4 times out (and many times home) before Halloween was done and losing piece by piece of the costume in the meanwhile! I found this costume for ridiculous clearance at $6! So I snapped it up! And this is why-- matching mama/babe costumes!! We wore these for a costume party on Thursday at music class. 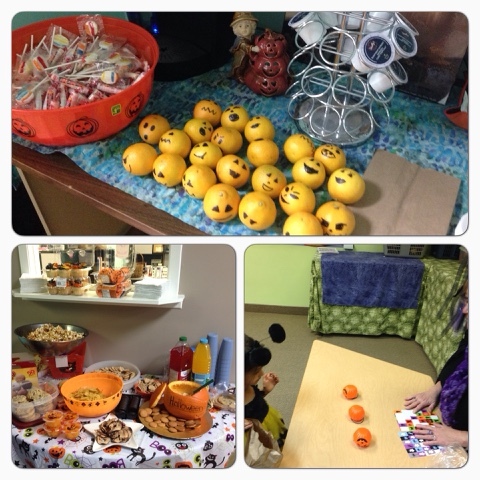 Lots of treats and games for the kids!! 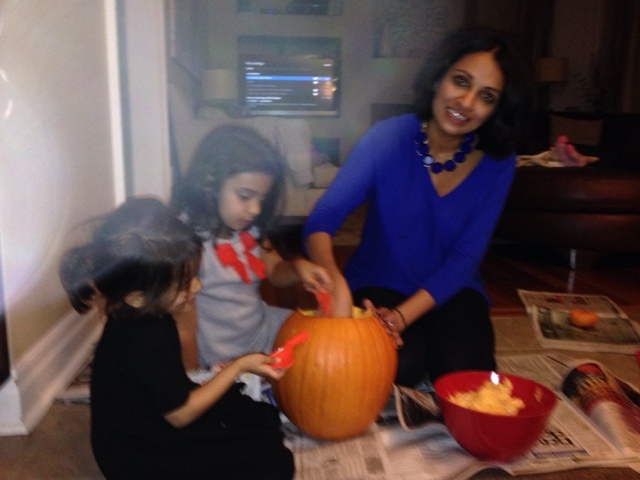 On Friday, we 'carved' our pumpkins. 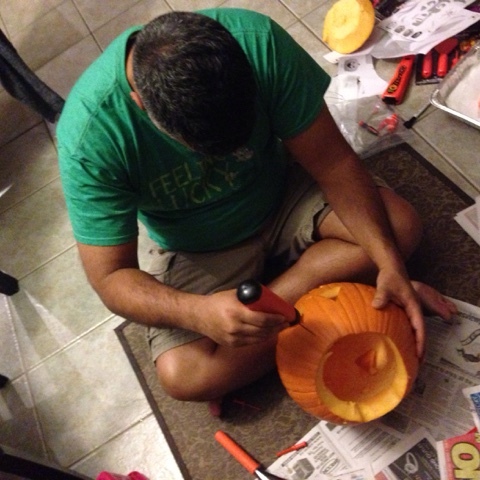 Though we had two, we actually only carved one! And then this happened to the other one. THe girls had TONS of fun doing it! Cassia went to a party on Saturday also- can you guess the theme?! 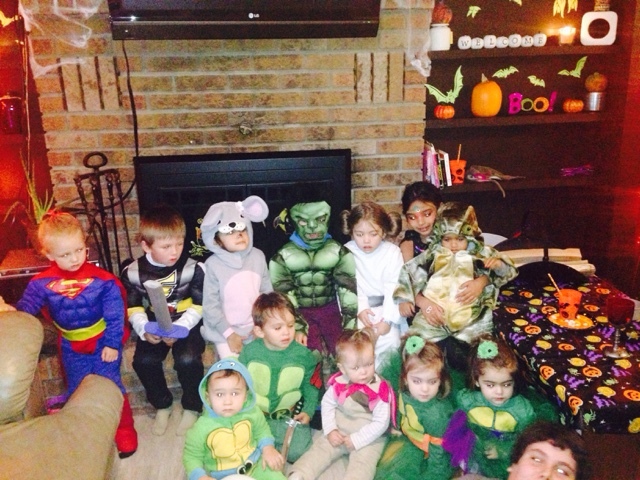 We went to this awesome party at our friend's house so we did trick or treating there. 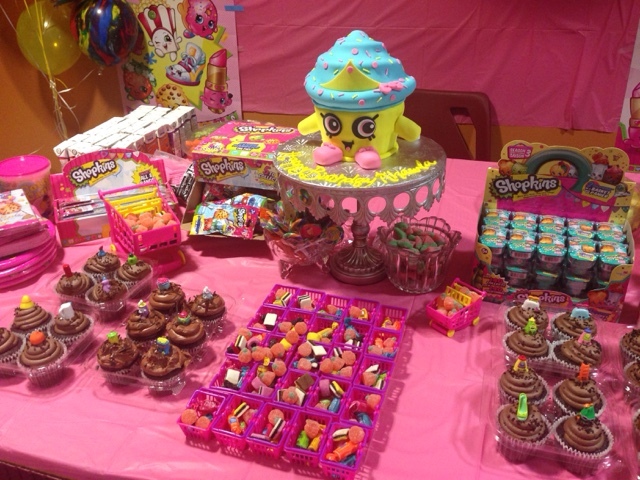 So many treats--- for adults AND kids. 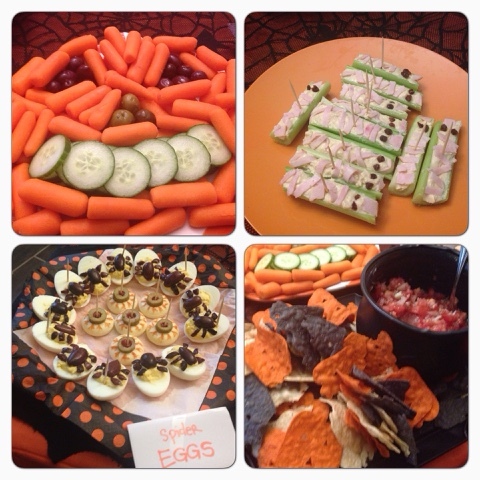 The hostess outdid herself--- and maybe broke pinterest with all of the themed food! No pictures of trick or treating as my phone died then but it was hilarious. A and my other nephew K went together (C was off with some bigger kids) and my nephew kept trying to walk into people's houses. They were so confused! It's a good thing he is cute. Also, he didn't like chips so he kept trying to give them back to people who gave him that as a treat! 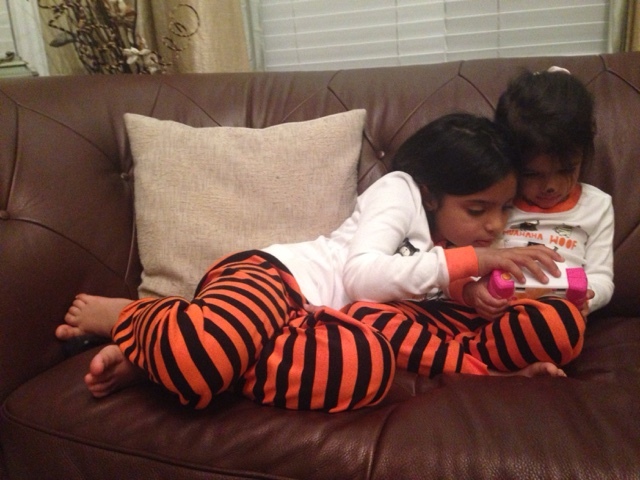 After trick or treating and partying hearty, these girlies just wanted to snuggle and read together…. for one hot minute! 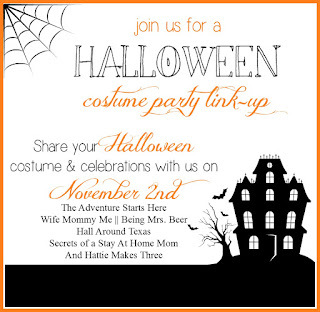 Looks like such a fun Halloween celebration, lady! 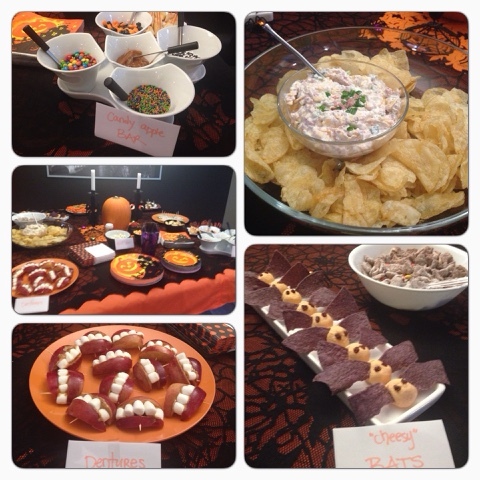 love all the costumes, pumpkins and the food looks fantastic. Glad you had a great time celebrating! Matching bees! Adore that. And, oh my word all the themed food. WOW! She did break pinterest. That looks like such fun. 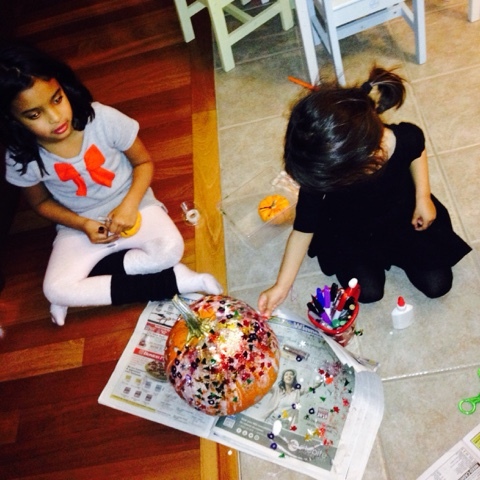 I also am loving the glued glittery pumpkin, great idea. What a weekend! Looks like a blast! 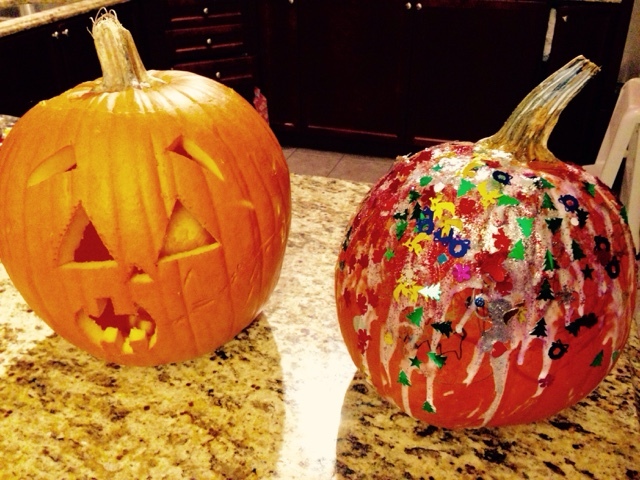 That sparkly pumpkin is fabulous! 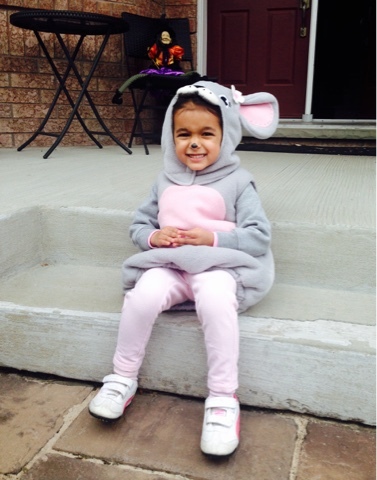 It looks like you had an amazing Halloween! 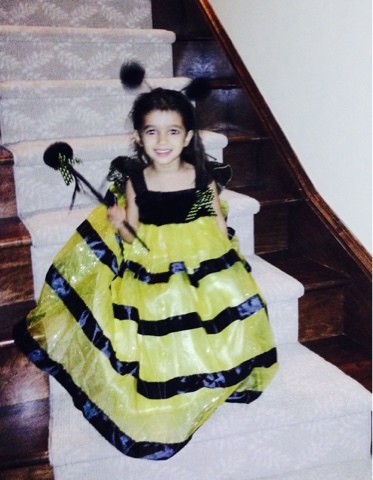 The Queen Bee costume is the cutest! Aww looks like so much fun and I love that the adults dressed up too!!! 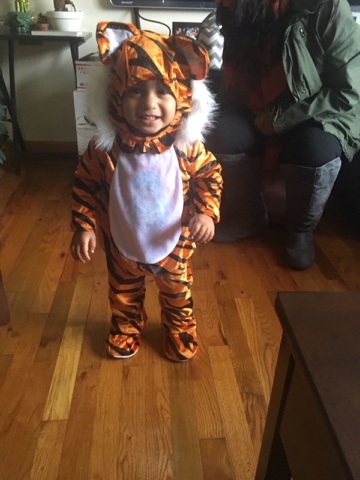 We did too but didn't see many others in costume :) So cute! 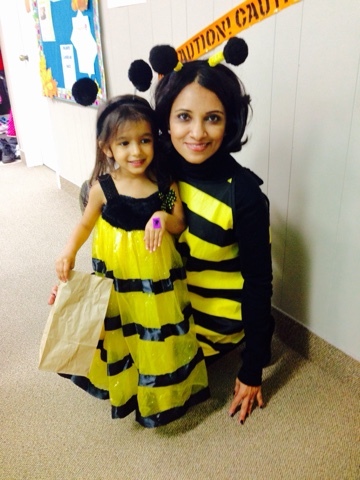 LOVE the matching mama/mini bees! And the christmas sparkly pumpkin. Nice blend of holidays there ;) Your friends always throw the most amazing parties. I would hire every single one of them to throw parties for me. If only we lived closer. 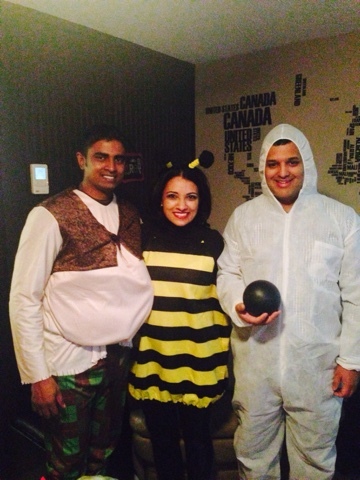 The matching costume might just bee my favorite part (see what I did there :) ) Haha. Looks like you had a fantastic Halloween. 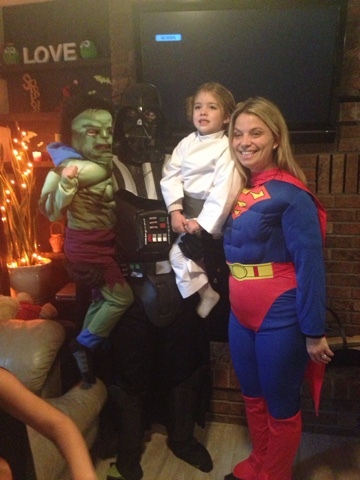 Looks like a fun Halloween and you guys are adorable in the matching costumes!